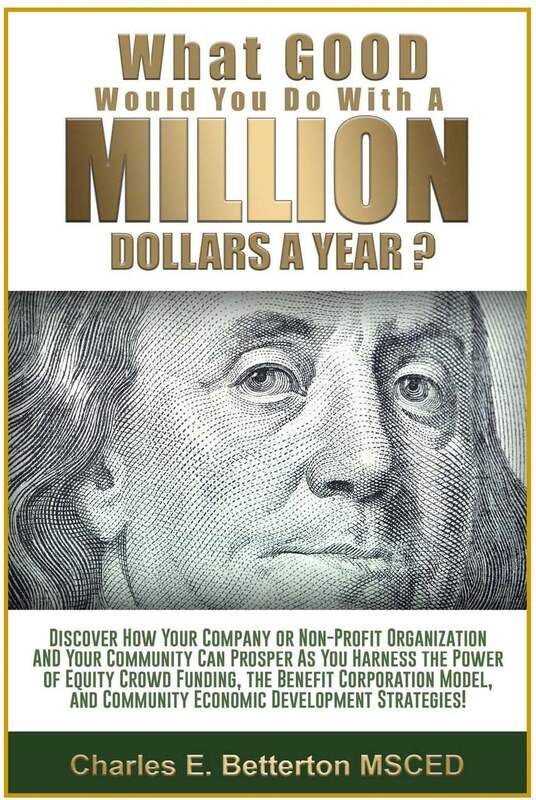 Advance PDF of Book - What GOOD Would You Do With A Million Dollars? What GOOD Would You Do? Advance White Paper and Overview. PDF of Draft Book when available. Webinars on Major Project Components. Notice of paperback book when available. Information on Consulting and Done for You Services. Copyright 2018 by Community Economic Development Benefit Corporation.